As a business owner, it is important to choose the right industrial bag filters for your equipment. We carry a variety of bag filters to meet your industry specific needs. Without the proper filters, your equipment will become overloaded and stop working altogether. Protect your large investment by selecting the right bag filters for your machinery. Ensure your business continues to run smoothly when you choose one of the following filters: classic felt, multifilament mesh filter bags, enhanced vertical pleat, Maxx GF, Visc-Maxx, monofilament mesh filter bags, and X-Tra life filter bags. All of our filters are made from high-quality materials and are designed to be cost efficient without breaking the bank. Keep reading to find out what types of businesses our filters benefit. Remember, selecting the right bag filter will help your business operate more efficiently. 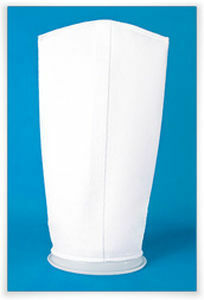 Turn to Greenleaf Filtration when you need more industrial bag filters for your business. Visit our website at GreenleafFilters.net to discover more about our wide selection of industrial bag filters and how they can improve your business. This entry was posted in Uncategorized on June 30, 2017 by 11688097.